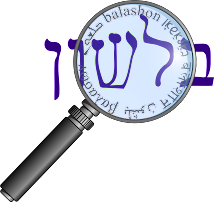 Balashon - Hebrew Language Detective: yam suf - red sea or sea of reeds? yam suf - red sea or sea of reeds? After a little research, it became clear to me that there was certainly no mix up between "red" and "reed", as the name "Red Sea" goes all the way back to the Greek Septuagint, who translated Yam Suf as Erythra Thalassa, whereas suf meaning "reeds" in the Bible (Shmot 2:3) was translated as helos. Since English only came around centuries later, the similarity between "red" and "reed" is only a coincidence. However, there are those that claim that the term "Red Sea" did originate in a misunderstanding - and that the Greeks thought Edom אדום meant "red", in the verses describing the sea near Edom. These scholars therefore prefer the translation "Sea of Reeds" (or "Reed Sea" or "Sea of Weeds"). They point out that reeds only grow in fresh water, such as in the Nile or in the lakes to the east. This fits in well with the assumption that one of those lakes was the sea parted by Moshe in the Exodus. In the end, there are many unanswered questions about the name (and location) of Yam Suf. Perhaps the best thing is for me to go back to Eilat and think about it some more. Anyone care to join me?